We’ve Mastered the Backyard, too! Would it be a Missouri summer without a top-of-the-line grill in your backyard? We don’t think so. That’s why our areas of expertise extend beyond just heating and cooling. We proudly carry high-quality grills, too. We offer outstanding infrared, charcoal, natural gas and propane grills; so no matter how you’re trying to grill, we’ve got you covered. Host the neighborhood’s best party with one of our premiere grills. 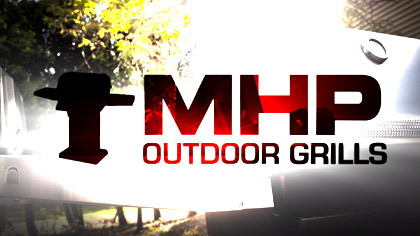 We carry MHP Outdoor Grills, Solaire Infrared Grills and Broilmaster Premium Grills. Solaire grills come complete with a limited lifetime warranty on stainless steel construction, main burners and V-grilling grids. Broilmaster also has a limited lifetime warranty against rust through 10 years on stainless steel burners and much more. Best of all, these are all made in the USA. These grills are shaking up the gas grill industry. Infrared grills are gas grills that use infrared technology as a source of heat. Instead of the flame heating the grates directly, there’s an infrared element in between the grates and the flames. Infrared grills are good for providing uniform heat and searing meat along with cutting down on the amount of flare ups. They can get incredibly hot in a short amount of time, too. From veggies to dense meat, charcoal grills provide grill lovers with a one-of-a-kind tase. Charcoal grills tend to be significantly cheaper than gas grills, and they provide a certain smoky flavor that many find irresistable when it comes to grilling out. Charcoal grills also tend to be portable, which has many advantages depending on what you’re using your grill for. They’re available in all sorts of different sizes to fit your lifestyle needs. Gas grills are great for everyone. While they don’t provide the smoky taste that charcoal grills do, it takes significantly less time for a natural gas grill to heat up. Also, you can get a smoke box with a lot of gas grills to replicate the same taste as a charcoal grill. Gas grills are rising in popularity, too. While a nice natural gas grill may cost more, they tend to be very efficient. Propane grills are some of the most popular grills out there. They contain more energy than natural gas grills, and they often have gauges that will tell you when your propane is low. The odds of there being a propane supplier near you are very high, too. Propane tanks are usually available at supermarkets and convenience stores, and charcoal is pretty cheap depending on how often you grill out. Stop waiting and get a high-quality grill that will last for a long time. Contact us today with any inquiries regarding our exceptional lines of grills.